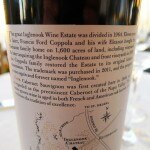 If you avoid Inglenook wines because of their subpar reputation, it’s time to rethink that notion. Founded in 1880 by Finnish sea captain Gustave Niebaum, Inglenook was actually one of the earliest and greatest of Napa Valley wine estates. But in 1964, it was broken up and sold off, and the brand became associated with cheap box wines. Over the past few decades, filmmaker/wine entrepreneur Francis Ford Coppola has devoted a tremendous amount of money and energy to reviving this historic brand. He began buying up parts of the 235-acre estate in 1975, issuing wines under the Niebaum-Coppola label. In 2006, he changed the label to Rubicon Estate, and five years later to Inglenook when he finally completed the estate’s reunification. He also hired Château Margaux winemaker Philippe Bascaules to change the public perception of the Inglenook brand and restore it to its former glory. Now, a year later, he is releasing his first Inglenook wine, the 2009 CASK Cabernet Sauvignon. 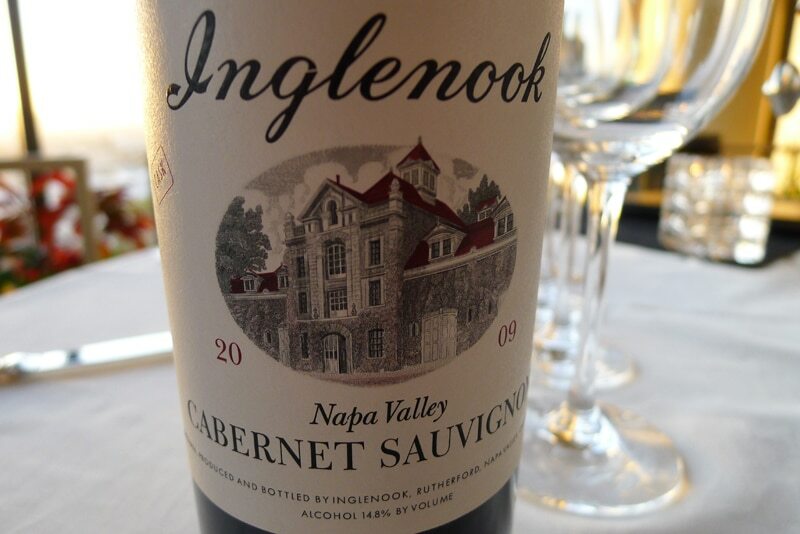 The wine’s label is based on that of Inglenook’s most celebrated vintage, the 1941 Cabernet, which scored a perfect 100 points from Wine Spectator in 2000. It is a fitting tribute to the winery’s past as well as a promising fresh start.